If you are reading this article & enjoying the podcast, this is what I share with my mailing list every Wednesday. To join the gang you can sign up at the bottom of this page. 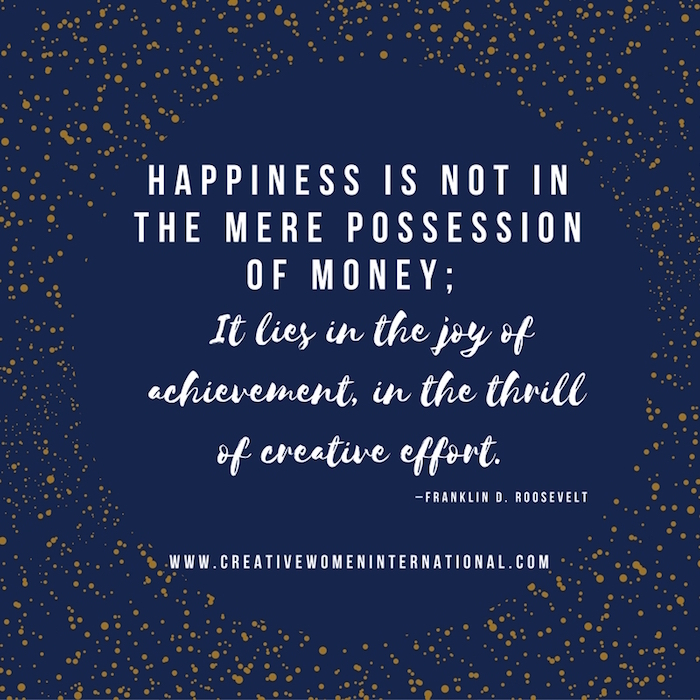 Getting paid on time when you are a freelancer or just starting out on your creative career, can be the difference between making or breaking you. When I was starting out I had no idea that I could set the date that invoices needed to be paid by. I thought I was at the mercy of the people that I worked for as a freelancer. I now know that was wrong. When we hustle for work and make new client and customer contacts we are building relationships. We each come with a way of working and we need to compromise to be able to work together. This I believe should also extend to payment plans as well. When we start out or work with a new client, we are so grateful to get the work, we want to be on our best behaviour and hope that they will hire us again. Money is one of those areas that as creatives we still struggle to have conversations about, but it is one of the most important things that we need to do. We have all heard creatives say “Oh I’m no good with figures.” but this is really a way of saying “I don’t understand figures, or I’m scared of figures, or I don’t know how to ask for help about money”. I don’t want to ever hear you say again that you are no good with figures! If you can use an ATM machine, then you can figure out some basic book keeping. At its most simple level all book keeping is, is money coming in and money coming out. We all played with money boxes as kids adding up all of the coins that we had collected, and it is no different now that you are freelancing. I’m not the world’s best mathematician, but I know that I don’t have to be. I can use calculators or pay a monthly fee to use software like Kashflow. As creatives we have so much more access to help to get our figures sorted out, than we ever did before. Yes it can be boring, but it is the life blood of our career so we should show it some respect. Just as you wouldn’t feel good living on junk food your whole life, you need to look after your money in the same way and feed and care for it. How we get paid on time is a big part of that care package for your finances. In the podcast I talk about ways to help you get paid on time and have designed a getting paid checklist for you to use.You can listen to it below. To download the checklist click HERE. When you start a new relationship with a client or customer find out who is actually going to be paying you. Is it them, or someone from the finance department? Get their name, email address and direct phone number before you start the work. Having these conversations at the beginning will save lots of heart ache in the long run. Next you want to work out what terms you want them to respect. Does that mean that you expect payment on receipt of the invoice, or that you are paid in instalments as parts of the work is completed? By being asked to be paid in instalments it offers you some protection. If they can’t pay you for the next chunk of work, then it means you won’t start it until they have paid you for the previous work you have done. This is very useful if you are a designer, as you will be working closely with the clients and going backwards and forwards to make changes with them etc. If you are a photographer, (like I was) it is harder to ask for payment as you go along, but there are other ways of doing it. You can supply watermarked photographs, or if you still work on film then you can supply watermarked contact sheets and hold onto the negatives until you are paid. I have had terrible experiences in the past working for glossy magazines who said they would pay me monthly (and I didn’t know I could negotiate those terms). I waited to be paid monthly and then the magazine went bust with me losing 3 months worth of work, and having to fight with the bailiffs to get my negatives back. Don’t let this happen to you! If they can’t afford you, then you need to ask yourself if it is worth working for them. Magazines and newspapers have a policy of only paying monthly, and sometimes longer. I still think that there are ways to work around this, as I mentioned before about holding onto the negatives or making sure you get some petty cash up front to pay for expenses. We are often so excited to have the work our professional brain leaves the building! Believe me, I have been there. It is much harder to claw back money once the work has started than to negotiate terms for that work at the beginning. They may say that their way is the only way, but if they really want to work with you I always think there is some compromise. After all this is all about relationships. Can you get per diems (money for food, parking, hotels etc) up front? Can you get them to pay in instalments if they can’t pay the whole fee on time? Can they pay you some of it out of petty cash? If you keep meeting brick walls you need to ask if you really want to work for these people. It might seem like a great place to be, but there is little point working hard for them if they are not going to pay you on time when you need the money for the work. All you get if that happens is a feeling of loss and bitterness that they took advantage of you. As single freelancers it is always hard to negotiate the money alone, but once you have tried it once, you can do it again and again. As you build your reputation, you can set the way your payment plan works, and if they don’t like it, then you need to ask yourself if you want to work with them in the long run. Too many young people come out of University or start their careers doing work for free. I beg them to stop. It isn’t only that they are being taken advantage of, but it also damages the industry that they are entering. I have seen too many young photographers, designers and artists giving their work away for free again and again. It often comes down to confidence and the lack of skills to negotiate. If they all refused to work for free people wouldn’t take advantage of them in the first place. It is the law to pay the minimum wage in the UK for any work that is undertaken. Worldwide there seems to be a feeling that creative work shouldn’t be paid for. Where this came from I have no idea, but it needs to stop. You need to value what you produce. You wouldn’t get recent accounting graduates offering their services for free, or young lawyers working for nothing. Your creative work is as valuable as theirs. You have paid fees, trained and worked hard to get your degree or build your portfolio, you don’t need to keep working for nothing, and shouldn’t do. I have designed an online course for creatives to create a sustainable career, part of it is confidence building and negotiation. It is only by empowering ourselves and believing in the work that we produce that we can charge the right amount for it and value what we do. Believe in yourself and others will too. 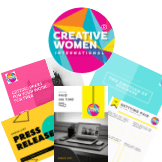 To find out more about the courses drop me an email to Philiy@CreativeWomenInternational.com with COURSES as the subject line. Let me know what things you need help with and what you hope to get out of your career.